Just as a family beach vacation is a timeless treat, the Chase Sapphire Preferred has been one of my top rewards credit-card recommendations for years for families who want to travel more for less. Since it was first introduced, almost a decade ago, the Chase Sapphire Preferred Card has been my most frequent card recommendation. It doesn’t have the highest potential for earning points or the most built-in perks or even the highest sign-up bonus, but it offers the most well-rounded opportunity to build miles and points. Many of those programs have simple-to-use websites, making it a cinch to successfully redeem awards if you transfer your Ultimate Rewards points to those programs. It helps that the transfer ratios are all a flat 1:1 and most of them process instantaneously. Families need to book award space when it appears, so speed matters. Having multiple transfer options is key for families who are often relegated to traveling during school breaks and peak travel times when award availability can be tough. For example, if a family wanted to go to Costa Rica for spring break, they could transfer Chase points to Hyatt to book the Andaz Costa Rica for 20k points per night. If that hotel was booked, they could transfer Chase points to Marriott and snag the JW Marriott Guanacaste or the El Mangroove, Autograph Collection properties for 35k points per night. For flights, you could top up your JetBlue TrueBlue account with a Chase transfer to book flights to Costa Rica. Or if JetBlue doesn’t have the right flights available for your schedule, the points could be transferred to Southwest or United. You have options, which is key during peak travel dates. However, you do not ever have to use the transfer partners to make use of your Ultimate Rewards points. I know plenty of families who have been very happy using their Ultimate Rewards points to book travel via the Chase Travel site (powered by Expedia) at a fixed value of 1.25 cents per point. I’d argue there are better cards out there if that is the only way you ever want to use your points, but there is nothing wrong with redeeming a 60k sign-up bonus to enjoy $750 in travel without messing with transfer partners. Chase Travel site as viewable with the Sapphire Reserve, but looks the same with Sapphire Preferred. Chase’s travel portal also allows you to redeem points for activities. And while the ratio isn’t always the best use of your points, it can be a terrific way to pepper your vacation with fun activities like catamaran snorkel trips, guided city tours or theatrical presentations. Another key feature of the CSP that makes it a top recommendation is that it is still a good card for more long-range travel. You can transfer the points to Iberia and fly in a lie-flat seat to Europe for as little as 25,500 points (for a limited time). Transferring your Chase points to book awards via Singapore Airlines means you can fly to Hawaii and back in United’s business class from 65,000 miles (United would want 80,000 miles) or in economy for 35,000 miles (United would want 45,000). 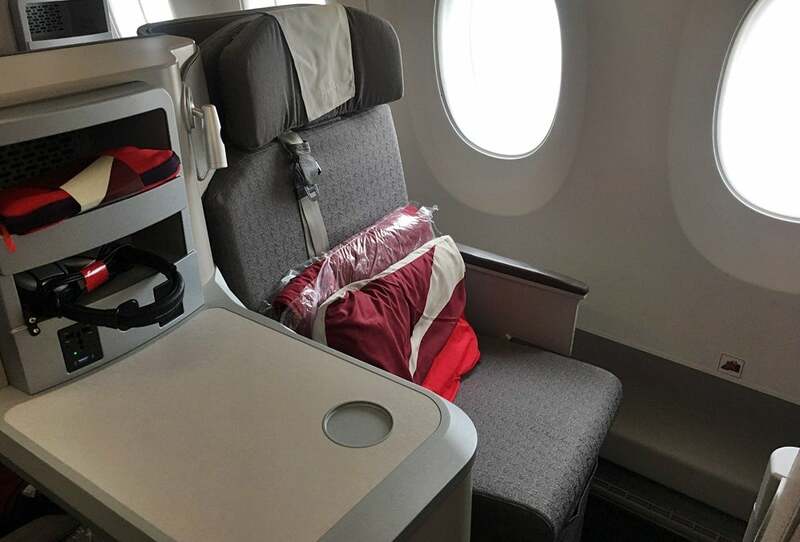 Transfers to British Airways hold the key to booking American Airlines flights from 7,500 points each way and transfer partner Virgin Atlantic has all sorts of award redemptions. There are lots of medium- and advanced-level redemptions waiting for you in the Ultimate Rewards line-up should you choose to use them. Earning 2 points per dollar on travel and dining, and 1 point per dollar elsewhere isn’t the best earning structure out there. However, it isn’t bad either — especially for the broad worldwide categories of travel and dining. If you value your Ultimate Rewards points per dollar at 2 cents each (as TPG does), that is a 4% return per dollar spent in those categories. That’s not best in class, but it is still solid and simple to remember. Just as your family can grow into more advanced redemptions with your Ultimate Rewards points, you can also grow into a full line-up of Chase Ultimate Rewards cards. While you can only have either the Chase Sapphire Preferred or its pricier and flashier sister, the Chase Sapphire Reserve, there are other good companion cards in the Ultimate Rewards family. I’ve personally had the Chase Freedom for years because it has no annual fee and earns 5 points per dollar in rotating bonus categories each quarter, up to $1,500 (activation required). Those points are only worth 1 cent each on their own, but when moved to the account of a Chase Sapphire Preferred card, they become fully transferable points you can move to the hotel and airline partners, increasing their value significantly. If rotating categories aren’t your thing, the Chase Freedom Unlimited is another great companion card to the CSP. The Freedom Unlimited earns 3 points per dollar across all categories for the first $20,000 in spend your first year, and 1.5 points per dollar across all categories after that. And again, when moved to the Chase Sapphire Preferred the points become fully transferable. Think of it this way — if you also have the CSP, that’s like earning 1.5 United, Southwest or Hyatt points per dollar across all categories — or 3 points per dollar on the first $20,000 you spend your first year — which is a better everyday earning rate than on any of those respective cobranded cards. Families will love that you can also combine Chase points with one member of your household (even from different card types) so you can have the Sapphire Preferred, your partner can have the Freedom Unlimited and their points become transferrable to hotel and airline partners after they are moved to your CSP account. What fun is a first rewards credit card if it doesn’t get you to your first award redemption quickly? Sign-up bonuses matter, because you need an easy payoff after getting your first card. The 60,000 Ultimate Rewards points get you $750 in travel booked via the Chase Travel site, a one-way ticket to Europe in business class booked via United, four nights near the mountains at the Hyatt Place Keystone or eight one-way flights on American Airlines (booked via British Airways). Spend $4,000 in the first three months and redeem those points when they hit your account. There’s no single best first rewards credit card for every single family that is looking to book their next vacation with points, but the best overall recommendation is often the Chase Sapphire Preferred. That was true at 50,000 points but is even more true with the new bonus of 60,000 points.